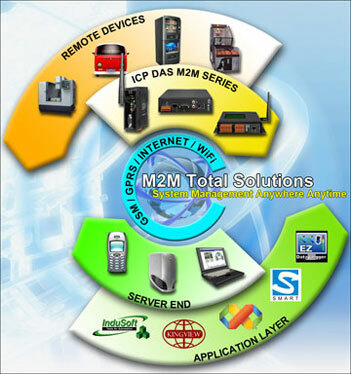 M2M - ICP DAS Co., Ltd.
ICP DAS, established in 1993, focuses on innovation and improving the industrial automation technology. With the wide spread of internet and the extension of household and entertainment, it becomes a trend to integrate data acquisition, industrial control, and communication as one complete system. The embedded-control system has also become the focal point of research and application.